Book hotel rooms online with us at Hotel Eva at the lowest rate, guaranteed. Get a holiday discount room rate at the 4 Star Hotel Eva located in the centre of Faro in the Algarve. 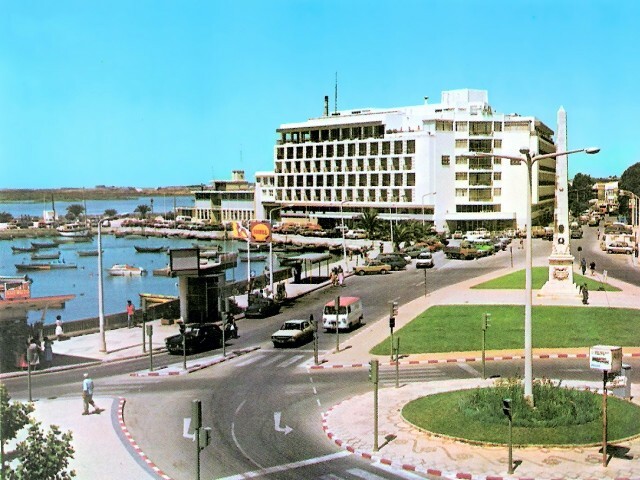 The hotel is ideally situated to explore the historic centre of the town of Faro with its many restaurants and bars. Hotel Eva has 134 spacious and pleasingly decorated air-conditioned bedrooms for two or three persons. Each room has a work desk, a mini-bar, safe, LCD TV, Wi-Fi, and the bathrooms are equipped with a hair dryer. Some rooms have a sea view from the balcony. The Hotel Eva in the Algarve has two restaurants, a bar, Health Club, Fitness centre, a rooftop pool from May to October. The Train Station is only a five minute walk from the hotel which provides a direct journey of 2.5 hours to Lisbon. The boat Marina in front of the hotel provides a ferry boat access to Ria Formosa Natural Park.